Nintendo may have seen its first slide in net profits in over half a dozen years recently, but that’s not to say all is depressed in the Mushroom Kingdom. To the contrary, in fact. The outfit’s CEO has the troops fired up and aimed squarely at Apple, and its little-handheld-that-could has just surpassed its earlier-handheld-that-could to become the best selling portable gaming machine in history. 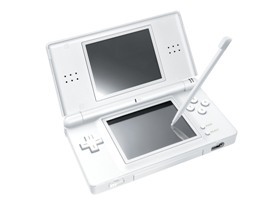 While belting out numbers during the latest quarterly earnings report, Nintendo confessed that the DS family (DS, DS Lite, DSi and XL) had sold around 129 million units, and at last check, the Game Boy crew had peaked at around 118 million. We’re hearing that Sony’s world-beating PlayStation 2 still leads the way when looking at all gaming devices at 140 million, but with that 3DS hitting in the near future, we might just see a new all-around champion crowned in the numbers game.